Minister Shane Ross has hired a general election candidate who stood unsuccessfully for his Independent Alliance as his press adviser on a salary of €80,000 a year. 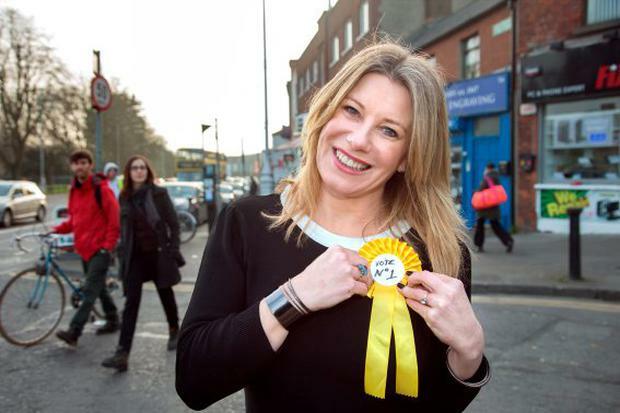 Journalist Carol Hunt, who ran in the Dún Laoghaire constituency in February's election, will liaise with the media on behalf of Mr Ross. She formally took up her duties yesterday. Ms Hunt has worked as a journalist for 12 years and has been a columnist for the 'Sunday Independent' - where Mr Ross worked as a columnist and was previously business editor. Last night, Ms Hunt insisted that she went through a vigorous interview process before being offered the position. "I am delighted to be offered the job and I have huge admiration for Minister Ross," Ms Hunt said. "The interview process was very tough, Shane himself was tough during the process. I believe that my 12 years as a journalist and my qualifications in academia played a significant part," she added. The appointment of Ms Hunt follows the decision by Mr Ross to appoint another key supporter to a position within Government. Tony Williams, a libel lawyer, was appointed as political liaison for the Independent Alliance last month. Mr Williams, a former councillor and member of the PDs, has been tasked with promoting the policies of the Alliance. He also acts as a go-between with Fine Gael and Taoiseach Enda Kenny's officials.